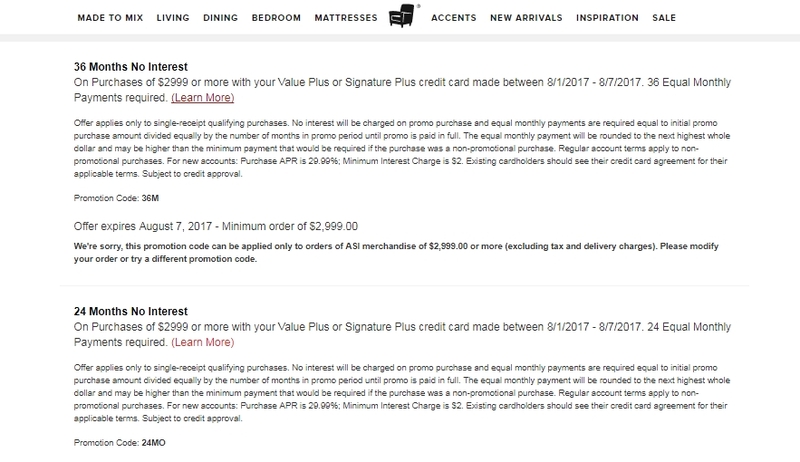 Morelba Araujo 36 Months No Interest On Purchases of $2999 or more with your Value Plus or Signature Plus credit card made between 8/1/2017 - 8/7/2017. 36 Equal Monthly Payments required. संत For a limited time, use the coupon code 36M to get the discount described in post. Cannot be combined with other offers, store exclusions may apply. Look Screenshot to see details.